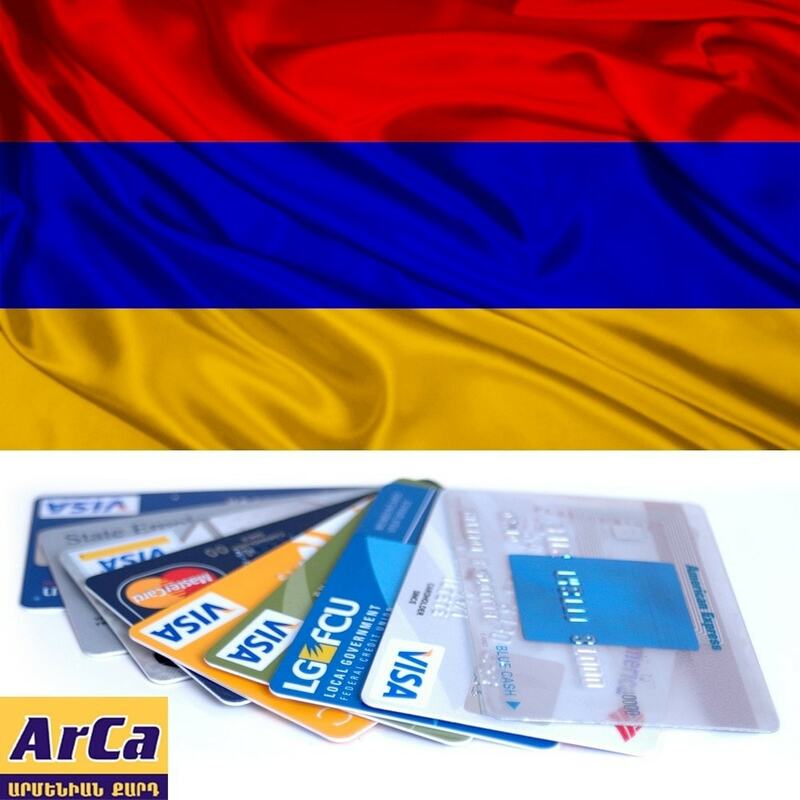 Start accepting online credit card payments in Armenia. The module will work directly with AmeriaBank payment system. If you are going to use another bank, please contact us and we will modify the module to support your bank too. Are you planning to sell products and services in Armenia? 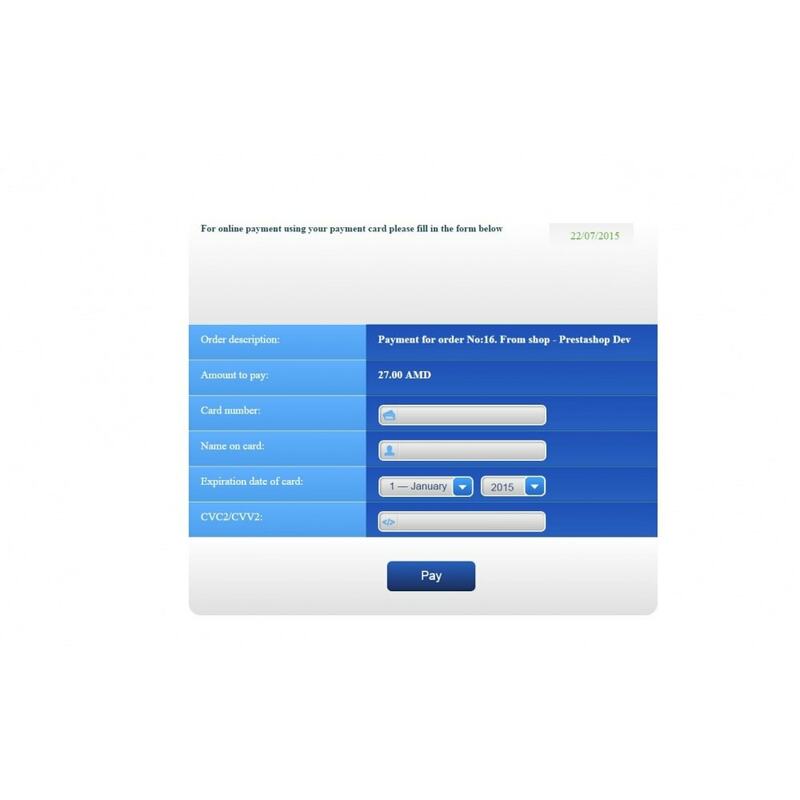 Then you will need this module to accept payments via one of the most used payment systems in Armenia. Using this module, you can accept almost every card type issued by Armenian banks (ArCa, MasterCard, Visa). This module is using Ameria Bank payment system. Module also supports multicurrency online shops (but the currency "Armenian Dram" must be defined in shop currencies list and curl must be activated on server). 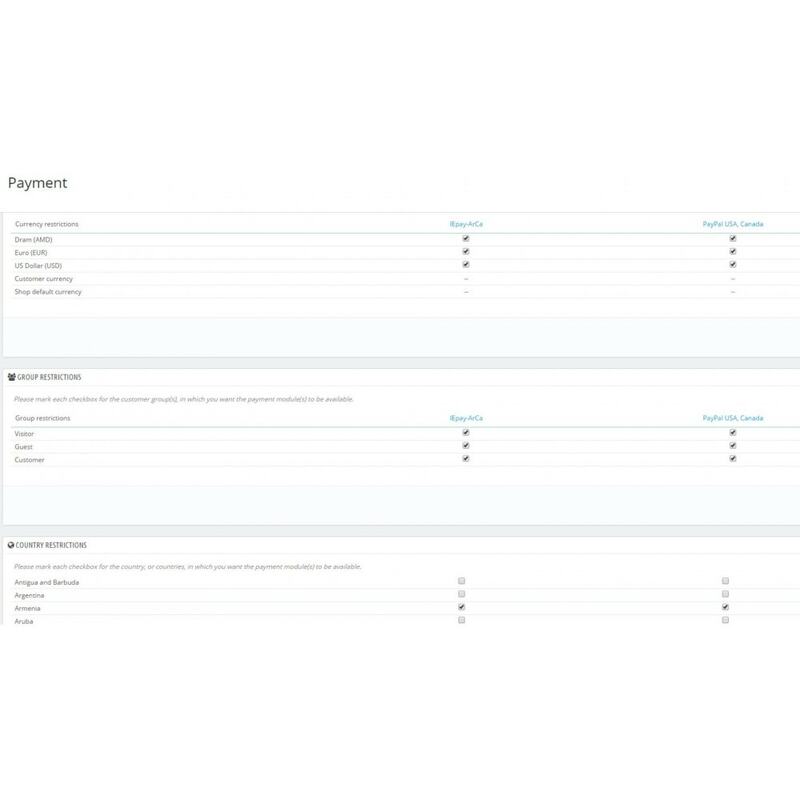 Automatically collects all the required information from the order. If you shop also uses other currencies than Armenian Dram, then this module will automatically convert the price into Armenian Dram. In this situation the Customer will see both prices (in original shop price and in Armenian Dram). Keeps history of all orders (without credit card information). We are working to support all Armenian banks. For now it works with Ameria Bank. Please contact us if you are using other bank than Ameria. We will modify this module to support your bank too. We are working for you, so don't hesitate to contact us if you have difficulties with this module. We will do all our best to solve all the problems related to ArCa payment system. Pay securely using your credit card, all the card details are being entered on Ameria Banks site. If you are going to test this module in Test mode, please order number to any big number (>2100). Please first contact your bank and get connection details. You can contact us and we will be glad to help you.